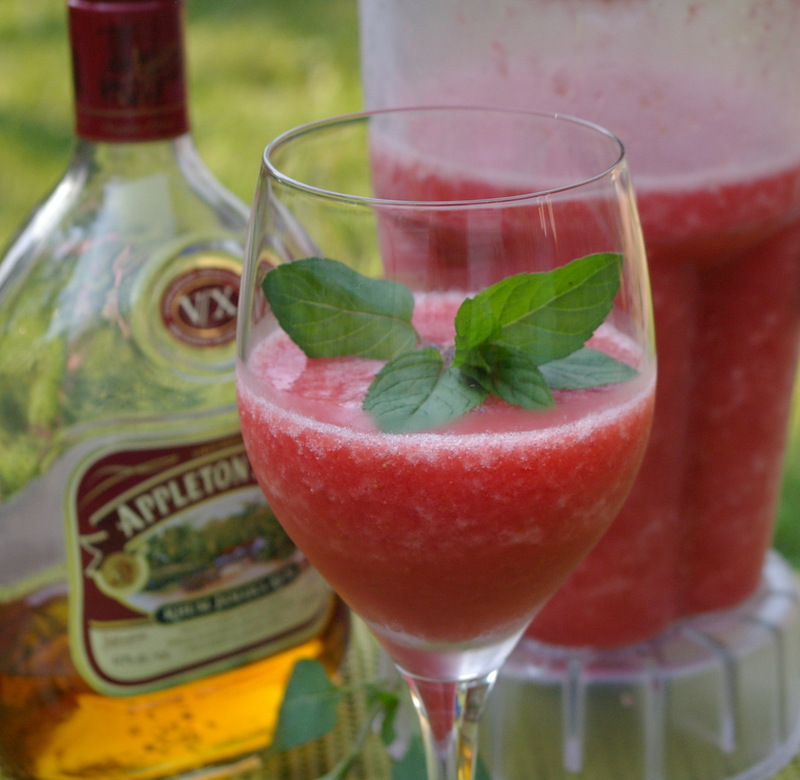 This entry was posted in Beverages, Recipe Index and tagged Beverages, Daiquiri, Drink, Lime (fruit), Strawberry, WATERMELON by Ginger Smoothy and Otto Pilot. Bookmark the permalink. That looks so refreshing, and I just bought strawberries this morning … Hmmmm, maybe I’ll make this soon! THIS! LOOKS DELICIOUS! I wonder if I can count this as my my food for the pot luck I’m going to. What did you use as the sweetener? And If we Want to increase the amount of alcohol can we just add more ice to maintain the consistency?